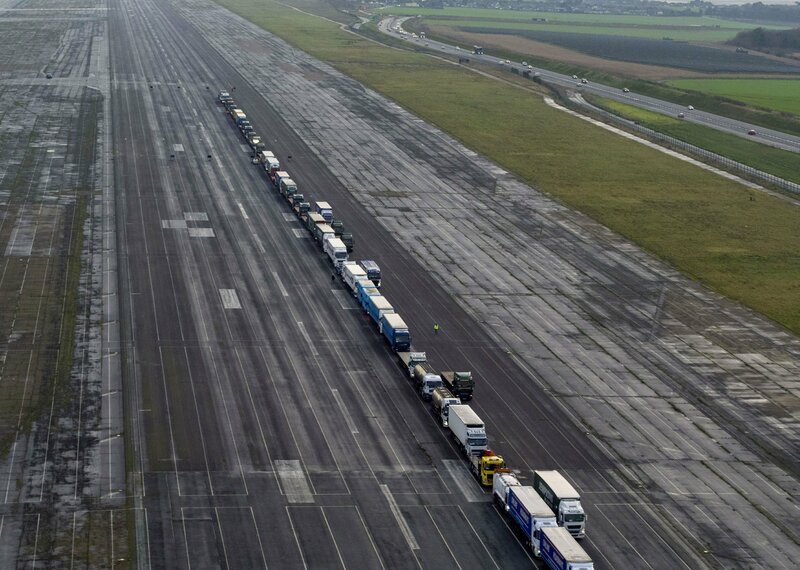 LONDON — Britain is testing how its motorway and ferry system would handle a “no-deal” Brexit by sending a stream of trucks from a closed local airport to the port of Dover — even as some legislators try to pressure the government to rule out the scenario. Parliament is expected to resume its debate over the government’s planned withdrawal deal Wednesday, with a vote widely expected a week later. As well as frustrating a number of lawmakers who want a complete break from the EU, the plan also raises the prospect that the U.K. could be “trapped” in a customs arrangement if no agreement on future trade ties is reached. There are also a number of lawmakers who have said they will vote against the deal because they want another referendum on Britain’s membership of the EU. May said Monday she is still trying to get more from EU leaders, who insist they are not willing to sweeten the deal. She told hospital workers in Liverpool there has been “some further movement” from the EU but did not provide specifics. “We are continuing to work on further assurances on further undertakings from the European Union in relation to the concern that has been expressed by parliamentarians,” she said. The prospect of the bill’s possible defeat next week has renewed concern about a “no-deal” scenario. Fears about economic disruption Monday prompted roughly 200 legislators including some from the prime minister’s Conservative Party to write to May asking her to rule out the no-deal scenario.